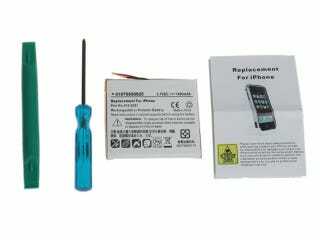 Brando may not be the first (that's these guys from iPodjuice), but they are the cheapest—offering a replacement iPhone battery for just $20. So, can someone tell this guy Trujillo, he of the Apple-shaped lawsuit, about this? More details about what you get alongside the battery after the jump.